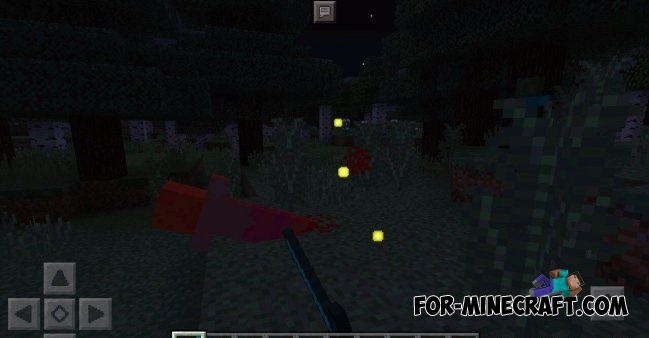 BloodPE mod - this modification adds a bit bloody zombies and other creatures to the world of Minecraft Pocket Edition. 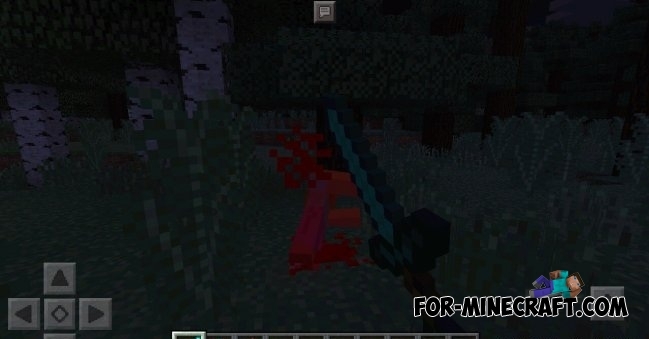 When you attack the mobs and animals - the blood splatter will appear on your screen. In addition to blood splatter, pools of blood will remain on the ground, which do not disappear. For example, you went to night walk and you are surrounded by a crowd of zombies and creepers. 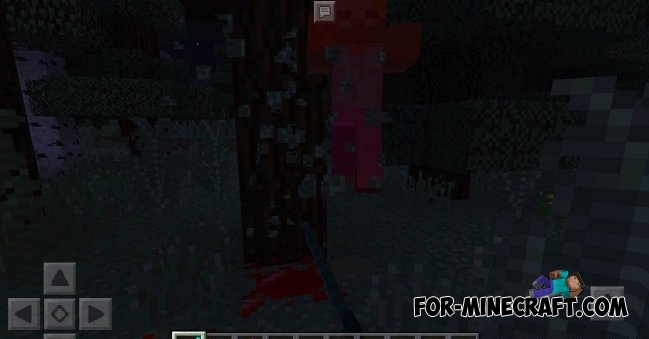 You, as an experienced player drew his sword (I have a diamond), and begin to "hack" of hostile mobs. Come on the battlefield in the morning, you will see a lot of puddles of blood.